Our product range includes a wide range of msp ultrasonic level transmitters. Operating Temperature 4 to 158 deg F (-20 to 70 deg C) for MSP422 and MSP400RH. 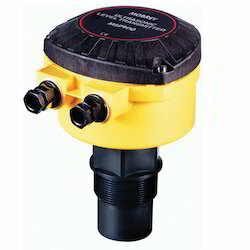 Our firm specializes in offering an excellent range of MSP Ultrasonic Level Transmitters. These innovative ranges of products are widely demanded in various industries for meeting diverse applications. To maintain industry defined quality standards, the entire range is manufactured using quality proven raw material and latest technology. Also, the entire range is examined properly by our quality controllers upon distinct parameters of quality. Continuous measurement of level or distance-to-surface. Looking for MSP Series ?